I love eating vegetables. I love shopping for them too, and I can't wait until warmer weather, and the Farmer's Markets open up again. Meanwhile, I have found this wonderfully delicious soup from Giada De Laurentiis' new book. 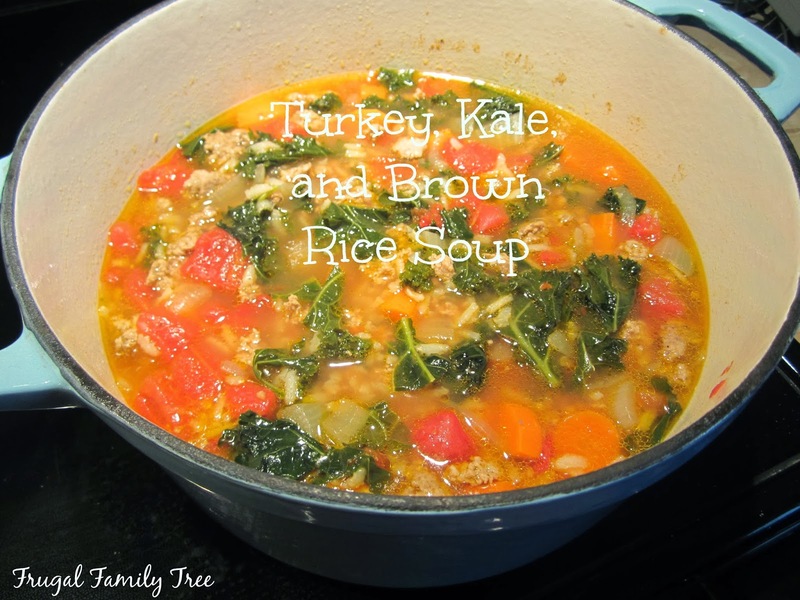 Even if you are not a fan of kale, this delicious soup just might change your mind. 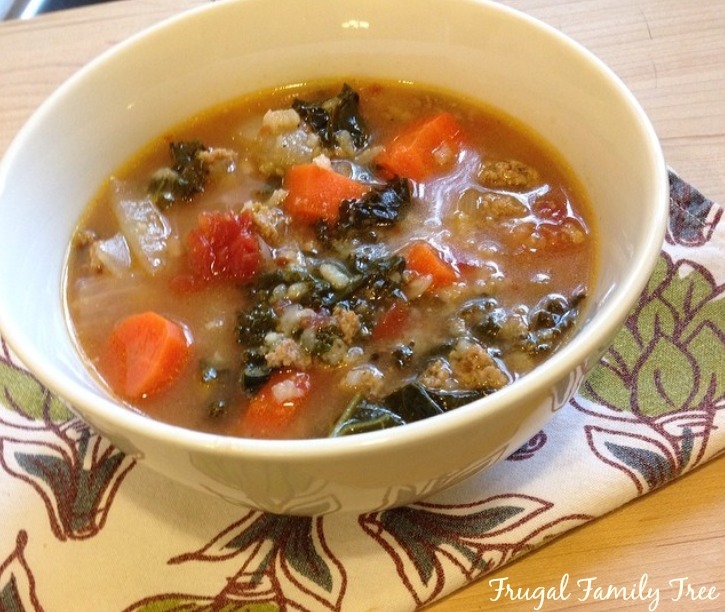 This soup is hearty, healthy, and a really lovely thing to make and eat on a cold winter day. Heat the oil in a large pot over medium-high heat. Add the shallots, carrots and bell pepper and sauté, stirring frequently, until the vegetables begin to brown and soften slightly, 8 to 10 minutes. Add the ground turkey and stir until the meat turns white and begins to color very slightly around the edges, 5 to 7 minutes. Add the herbes de Provence and stir, 1 minute. Add 4 cups broth, tomatoes and rice. Bring to a boil. 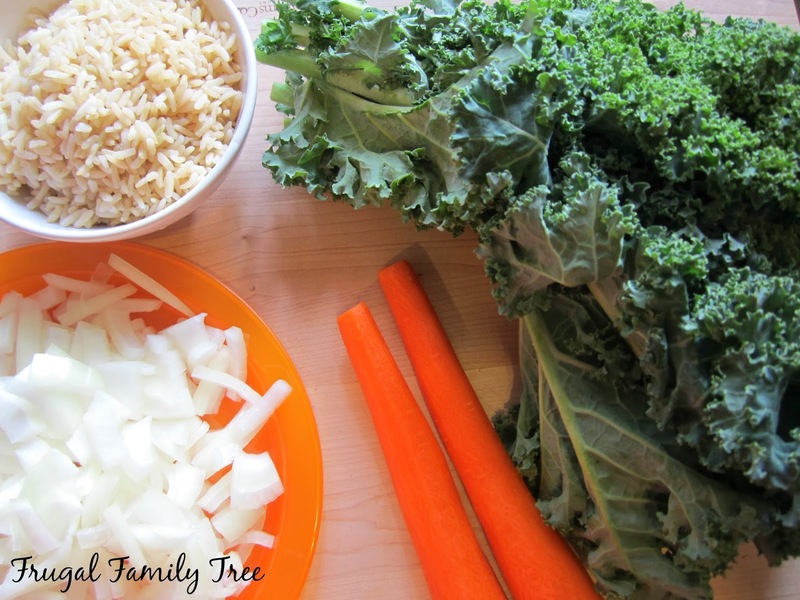 Stir in the kale and season with 3/4 teaspoon salt and the freshly ground black pepper. Reduce the heat to medium-low. Cover and simmer until the vegetables are tender, about 15 minutes. Season with the remaining 1/4 teaspoon salt.